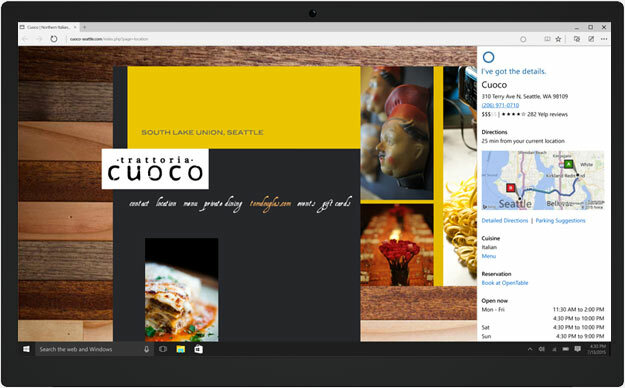 Microsoft recently announced Edge, the new replacement for its legacy browser Internet Explorer. It’s not secret that IE has brought shame over Microsoft for its old and not so polished web browser mainly version 6, and although things has changed for the better in later updates the reputation haven’t. All that is behind us as Microsoft reenter the browser wars with its new as the name suggest cutting Edge web browser. “Labeled as Gets things done” we can only assume that the new browser should make every day tasks little easier. Unfortunately we don’t have a final version so any speculations at this point are not 100% accurate as the browser is still in its early alpha/beta stage but judging from Microsoft bold statements things look promising. It is worth noting that Edge will be Windows 10 exclusive meaning no backwards compatibility with older Windows but Microsoft promised to keep support of IE little longer due to corporates still using it. Little late but better than never.